Industrial Noise Control – themed environments, dark rides, maintenance areas, performing arts centers, restaurants, studios, classrooms, auditoriums, night clubs, manufacturing plants, construction sites. Composite Barriers for construction, community noise, dark rides. 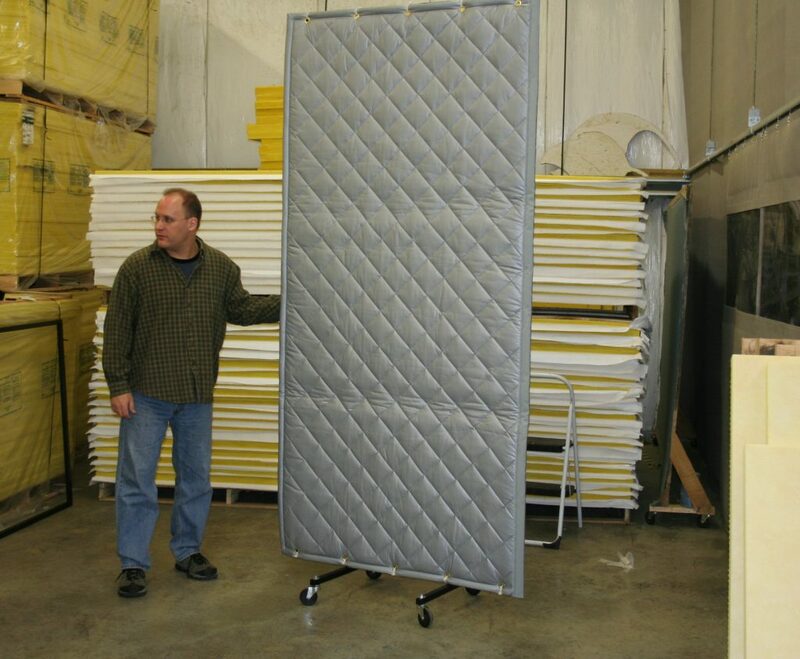 Baffles and Absorbers for industrial plans, warehouses, food processing facilities, gymnasiums, arenas, auditoriums, and architectural applications. Available in durable, quilted fiberglass, economic polywrap, and FDA approved sanitary baffles. Portable modular screens join together to form any configuration required. IA Stage is an authorized dealer of Sound Seal acoustic noise control products.